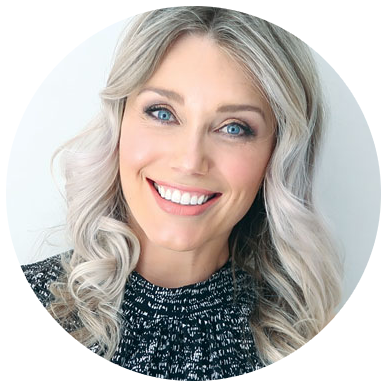 My name is Anri and I’m passionate about teaching girls how to embrace the unique outer- and inner beauty that God so lovingly gave her, and also to give her “tools” to help her to live a confident and happy life. The foundation of everything she will learn is based around “embracing your unique outer-and inner beauty that God gave you”. This will build her self-esteem while discovering that she is already beautiful and amazing in her own way! While learning new skills that will focus on both her inner – and outer beauty, it will certainly boost her confidence. Knowledge is power and learning = growth! A lot of emphasis in the course is on how beautiful it is to be yourself. So she will feel more confident and happy to just ‘BE HER’! She will also learn to “Sparkle” her inner beauty to the world! It’s important that your daughter grows up learning to love and respect her body rather than criticising and comparing it. She will learn that her body is MUCH more than just a ‘shell’ that needs to LOOK a certain way, often dictated by unrealistic media standards. This will tremendously help her during her teen years if she can learn to love and accept her body and have a positive body image from a young age. Friendship challenges are real, especially at this sensitive age. She will learn how to recognise whether a friendship is healthy for her or not plus valuable tips that will help her to be assertive and stand up for herself. She will have a better understanding of how to take care of her changing body and understand WHY every girl should pay attention to her personal care. 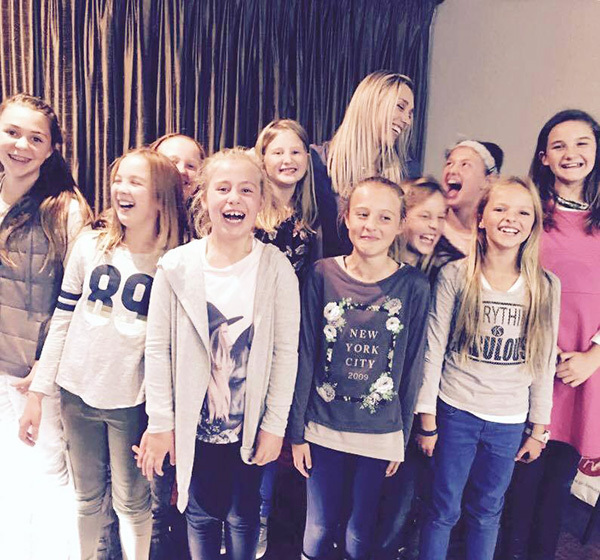 This will also boost her confidence and build self-esteem as she enters her teenage years. Twelve beautifully designed secret-little-love-notes that you can print and then surprise your daughter with to remind her that she is LOVED. Confident girls feel loved unconditionally. These pretty cards have 12 unique and special messages and you can sneak one into her lunch box, her pencil case (so that she gets a little love-surprise before she writes that test) or put one on her pillow at night. It’s these little things that make such a difference in our relationships. After working with hundreds of teen and pre-teen girls over the past few years, I’ve seen how the body image of a girl that I meet as a pre-teen, can look dramatically different to when I see her again as a teen. The pressure to look a certain way and the relationships with their bodies can change very quickly from a positive body image to a negative body image. So what can we, as parents do to guide and support our young daughters to grow up with a focus on their bodies that’s positive and to APPRECIATE the healthy and UNIQUE body that she has? In this bonus video, I give you, the parent, 8 valuable tips, that you absolutely MUST keep in mind as a parent of a daughter when it comes to helping her to develop a positive relationship with her body. * Revisit lessons at often as she wants. You will have access to the entire course for a full half year! YES, I WANT HER TO START! How does ‘Girl-School, Anytime, anywhere’ work? Look out for the pink buttons that indicate which lessons you will be able to preview FOR FREE to get a better understanding of how the lessons will be presented. “Signal #4” In this lesson we focus on our words and specifically how our words have a big impact on what impression we create. We will add our first words to her “No-Entry” list: “Gossip” & “Swearing”. Her “Fun-work” for this lesson will encourage a specific conversation with mom or dad – great for bonding-time too! “Comparison Shield #2: Proud of me!” There won’t always be other people around to acknowledge your achievements but that doesn’t make it any less of an achievement! You can tell yourself! Big and small things – tell yourself when you did something well, a good deed, or anything else that you feel proud of. When she does that, she will grow her self-esteem and self-worth and THAT scares “Mr.-Ugly-Comparison”! So our 2nd shield is called: “Proud of me” and will teach her to start seeing and acknowledging her own achievements – big and small. “I am available for your daughter if she has questions along the way. She is also very welcome to email me some of her ‘fun-work’ that she had to do during the course if she wants me to look at it. (and I would LOVE to tell her how proud I am of her!) I do that with SO MUCH LOVE and I want her to get the most out of her Girl-School course. 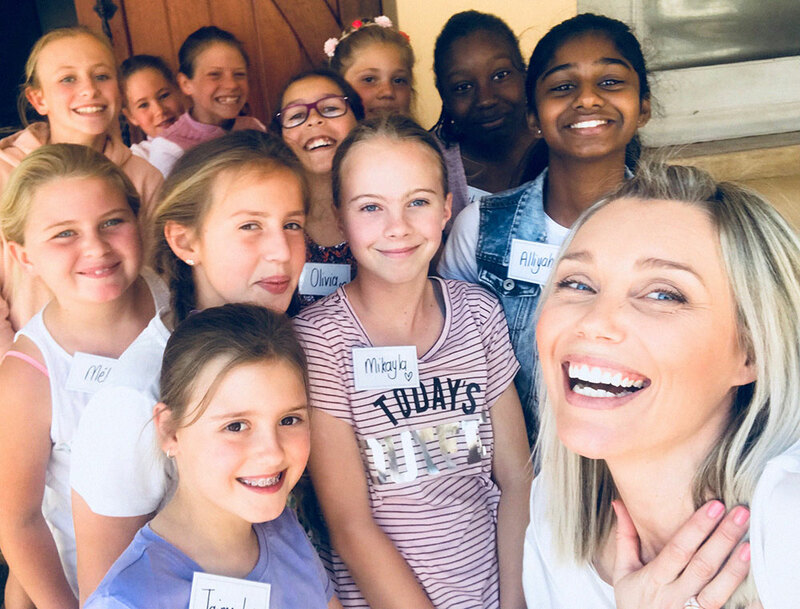 “Being the owner and principal of one of the top self-development courses and finishing schools in Johannesburg, I’ve had the opportunity to work closely with hundreds of pre-teen and teen girls since 2013 during my live workshops and courses. I’ve been paying close attention to their stories, their concerns, their struggles and their challenges. My heart beats warm and happy when I can make a difference in a girls life, and that is why I decided to also create a DIGITAL course, so that her busy schedule, location or transport don’t have to stand in her way to be empowered through this content. WHY CHOOSE ME AS HER TEACHER? I have years of experience working with this age-group and understand their struggles and concerns. I have the ability to explain and package content in a fun and interesting way. I did a similar course as a pre-teen girl myself and I know how much value it brought to my own life. I have a gift to package content in a practical and creative way in order to keep my students interested. I have a step-by-step teaching style making it easier for my students to implement their new knowledge. I want your daughter to benefit from and enjoy this experience and that is why I am there to support her (and you the parent) every step of the way! I LOVE what I do and to use my gifts and passions that God gave me to uplift and empower others! The benefit of her doing the course ‘at home’ is that you have the option to watch the lessons with her and continue the conversations around those topics at home. This has proven very positive for many parent-daughter relationships and also encourage healthy conversations. This generation is used to learning on this medium and this will certainly be screen time well spent! 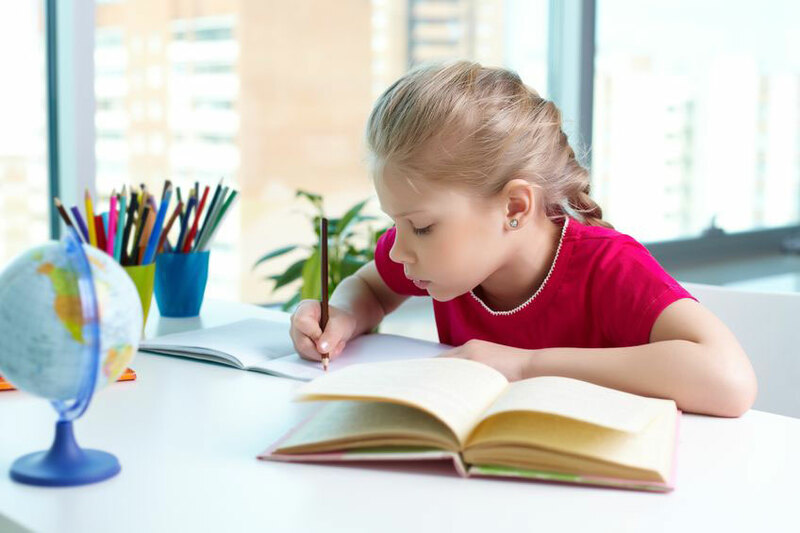 Will my daughter benefit from doing an online course? 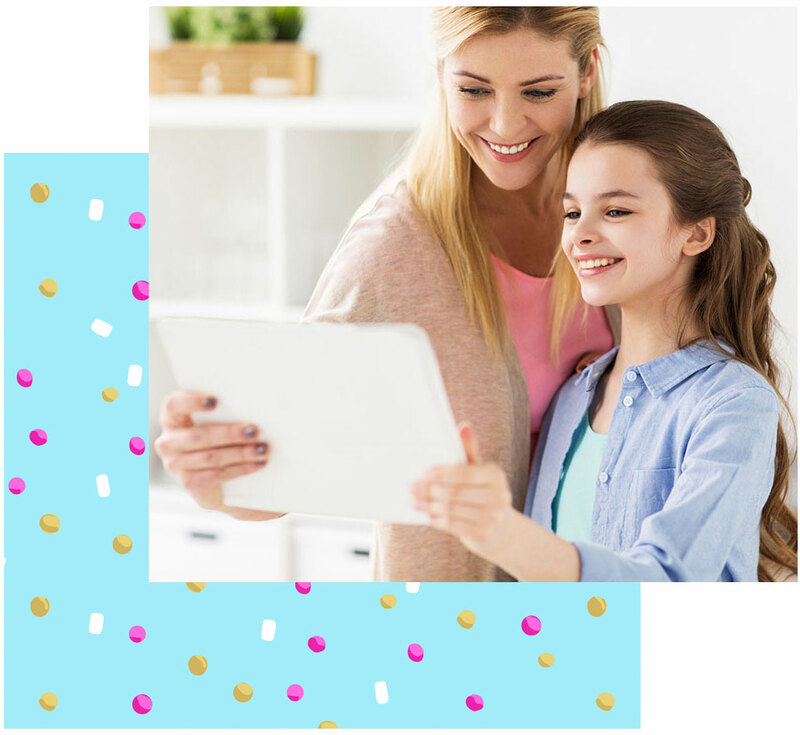 Although I can’t speak for ALL online courses, I can confidently say that THIS online course will benefit your daughter yes! Each lesson has a clear and important message that she will benefit from. It will be an average of plus /minus 10 minutes a day well spent towards her personal growth and development. Will my daughter be able to follow along? The course content is delivered in a structured and organised way making it very easy to follow along and to know exactly what should happen next. The course is clearly divided into 8 modules (or as we call them in the course “Puzzle Pieces”) and listed underneath each module are the lessons. Parents will also receive a ‘Parent-Roadmap’ that will clearly list all the lessons, with a space to check lessons off when completed, ensuring that parents and students never feel lost or overwhelmed. I am with her every ‘cyber-step’ of the way! The lessons are delivered in bite-size length videos, meaning they are short but meaningful and she also has the option to pause and rewind anytime she needs to. Will my daughter still have fun doing it alone, as a-pose to in a group? 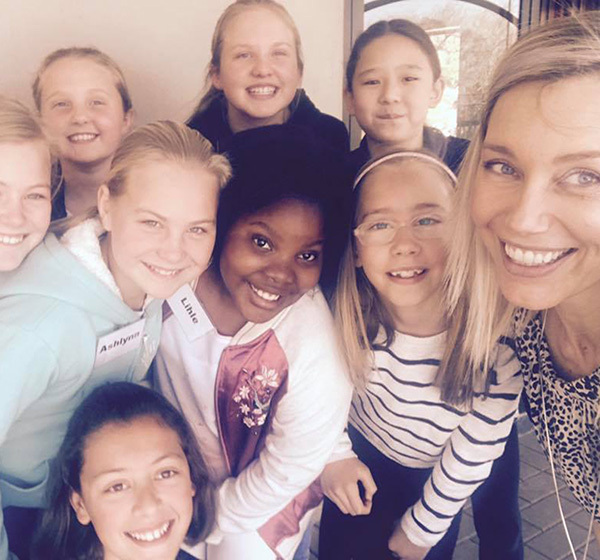 Groups are awesome and have many benefits yes, but this online platform was specifically created so that location, time and other commitments don’t stand in the way of her being able to do and benefit from what Girl-School has to offer. That is always the number one ‘obstacle’ when I present my live workshops – a girl that really wants to do the course but she has other commitments on the course days or traveling / location was an issue. I am sure that she has plenty of other opportunities to be in a social group, be it at school or at other extramural activities, so the benefits of actually gaining this knowledge and growing through this course as a person outweighs the issue of not doing it in a group in my honest opinion. PLUS – now mom or dad is there for her to discuss the content with, which means bonding time and healthy conversations in the home! What if my daughter has questions? After the hundreds of hours that I’ve taught live workshops to this age group, I have a very good idea of what questions are popular. Therefore I worked very hard to answer all those questions already inside of the lessons. But should she have other questions she is always very welcome to email me and I will gladly help and support the best I can! Again, it will be so healthy for your parent-daughter relationship too if she can come to you with her questions. Not only will it spark interesting conversations, but you will also strengthen the bond and trust between you and your daughter when she can discuss her questions with you. Which technology will we need? As long as you have an internet connection, you can watch the course on any device. (Smartphone, laptop, desktop computer…) Just use the link and your unique log-in details that will be sent to you after you enrol, and she will be able to continue and watch her lessons. She will also need sound, so either using the speakers from the device or headphones if necessary. If you have any technical issues we will be happy to assist. Is the online course available in Afrikaans? “Die aanlyn kursus is net in Engels beskikbaar. Maar my eie dogter, 8 jaar oud, en ‘n hele paar ander Afrikaanse dogtertjies, het reeds die aanlyn kursus gedoen en die Engels was nie vir hulle ‘n probleem nie. Die kinders is vandag so gewoond om Engels ‘in te neem’ vanaf ‘n skerm, of dit nou TV is of speletjies op tablette. Is the content age-appropriate and safe? Absolutely! 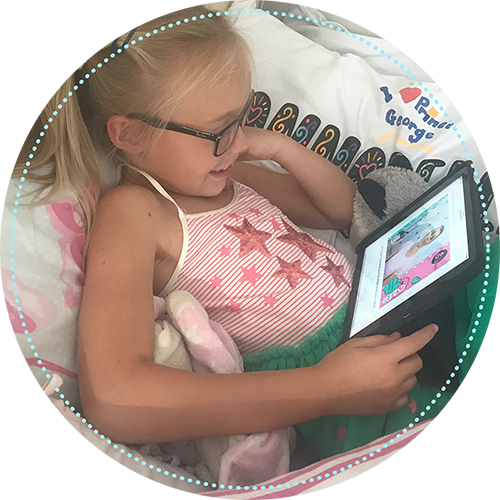 All the content is specifically aimed at this age group and focused on teaching her age-appropriate, healthy habits and tools that she will need to develop now in order to support her during her teenage years. 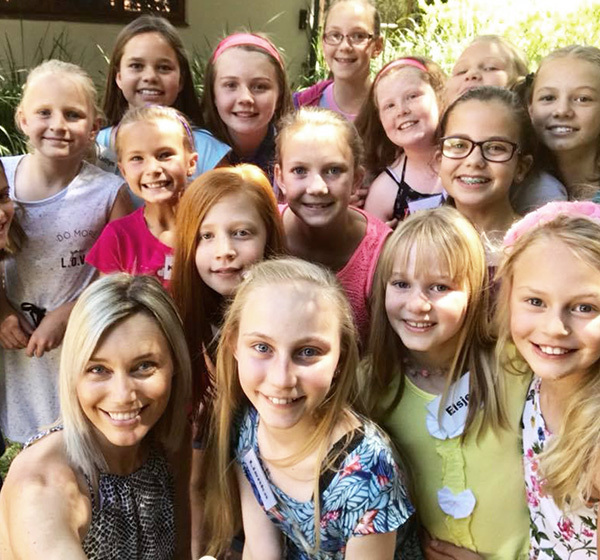 I constantly ask God to guide me while I create content and teach, and I am confident that with His guidance, I developed a course that will have a lasting, positive effect on any girl in this age group. There are 21 lessons, so the minimum time that the course can be completed in is 21 days since I do not recommend that students do more than one lesson per day) The benefit of an online course though is that HER SCHEDULE and circumstances are in control, as well as HER unique ability to process the information. That means that she can take longer than 21 days if she feels she needs more time in-between lessons and she can even do only 1 lesson per week since she will have a full 6 month access to her course. What happens after I've paid for the course? After successful payment of the course, you will receive an e-mail with your unique log in details and the link where you can log in to the course. 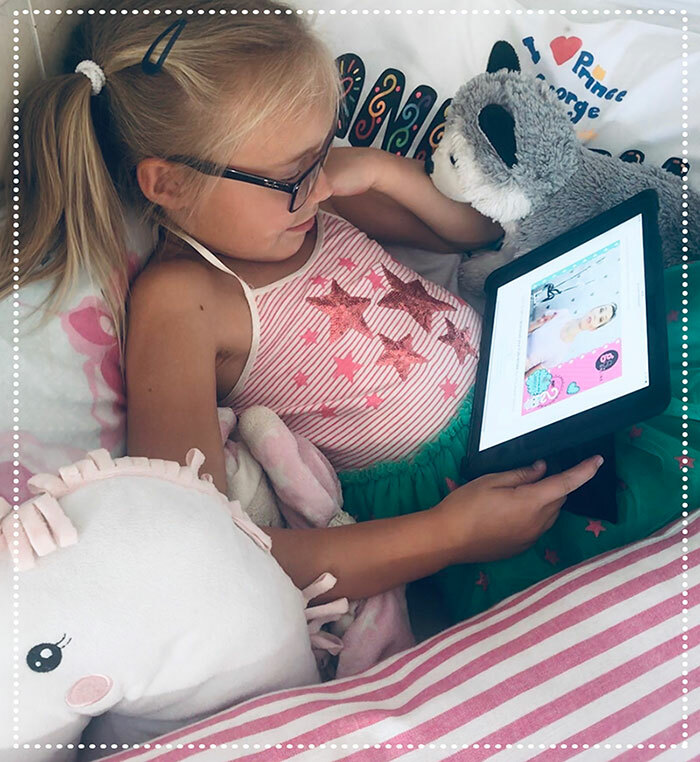 Parents will also receive a welcome e-mail and video from Anri explaining exactly what to expect and what to do next, to ensure that your daughter gets the most out of her Girl-School experience.